Not to be deterred by her impending trial for wire fraud or the new HBO documentary about her—The Inventor: Out for Blood in Silicon Valley—Elizabeth Holmes is still in wedding-planning mode. The New York Post reports that the 35-year-old Theranos founder and her fiancé, Billy Evans, sent out invitations to their nuptials a few weeks ago. Last year, Holmes was accused by the Securities and Exchange Commission of scamming investors out of $700 million with claims that she’d revolutionized the medical industry by developing a blood-testing method that required only a finger prick. She ultimately settled with the SEC, agreeing to pay a $500,000 fine and not serve as an officer or director of a public company for a decade, and is now awaiting trial for wire fraud and could face 20 years in prison. 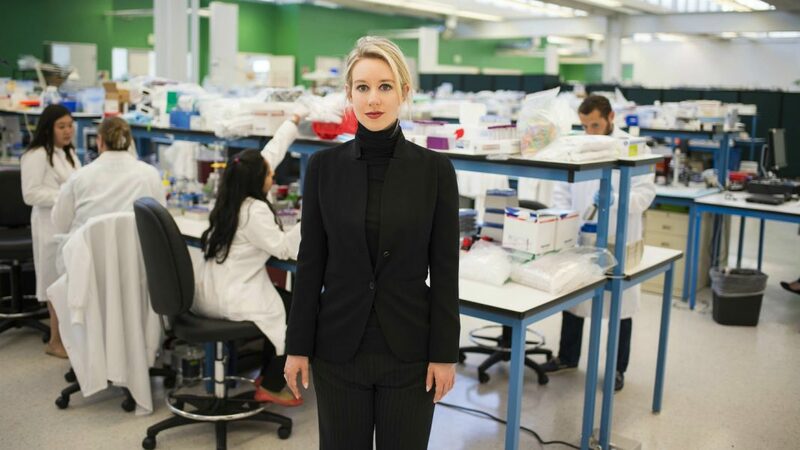 She was just 19 years old when she started Theranos and the company grew to a $9 billion valuation before things came crashing down in 2015 when a Wall Street Journal article questioned the technology. The author of the article, John Carreyrou, went on to write the bestselling book Bad Blood: Secrets and Lies in a Silicon Valley Startup, and Holmes has become a disgraced, deep-voiced subject of intense fascination. Holmes previously dated Theranos’s 54-year-old COO Ramesh Balwani, who is also facing wire fraud charges, and the pair reportedly didn’t disclose their relationship to investors. But, her true soulmate may be Fyre Festival mastermind Billy McFarland.